Oceanhorn is another title from Limited Run Games getting the physical treatment. In fact, pre-orders are live on the company’s website now. You can reserve it here. Pre-orders will be open for the next month. Copies should ship within the next 2-3 weeks. 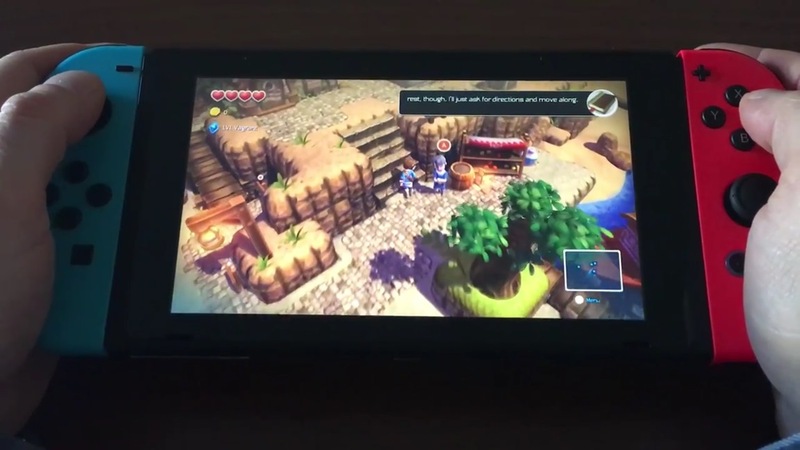 We already knew that a demo of Oceanhorn was coming to Switch at some point in October. FDG Entertainment has now confirmed that the demo will be available this Thursday, October 12th. 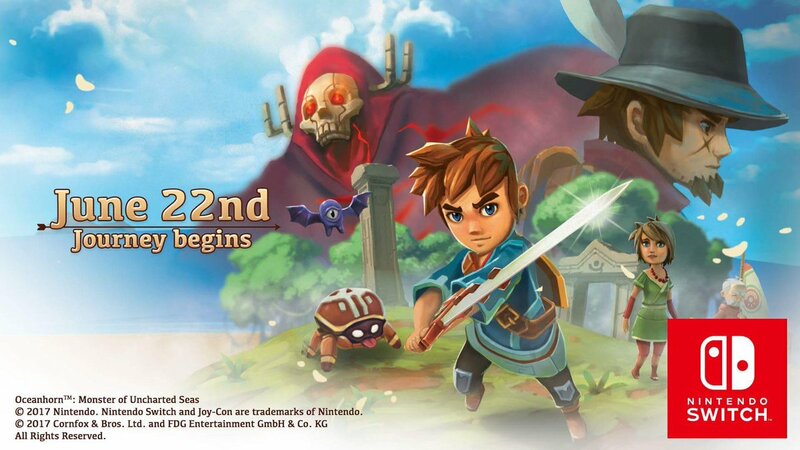 About a month ago, we received confirmation that a demo for Oceanhorn is on the way. FDG Entertainment provided a status update on its release today. Although there’s no specific date yet, the company said that its coming sometime in October. The demo has already been submitted for Nintendo’s approval. It seems like Wonder Boy wasn’t the only indie game that saw a lot of success on Switch. FDG Entertainment revealed today that Oceanhorn, their Wind Waker-inspired action adventure game, has sold more copies on Switch than on all other consoles combined. It seems like Nintendo’s newest system is turning into quite the indie darling. Oceanhorn was first released on mobile hardware, so it was very flexible game to port for mobile based Nintendo Switch. 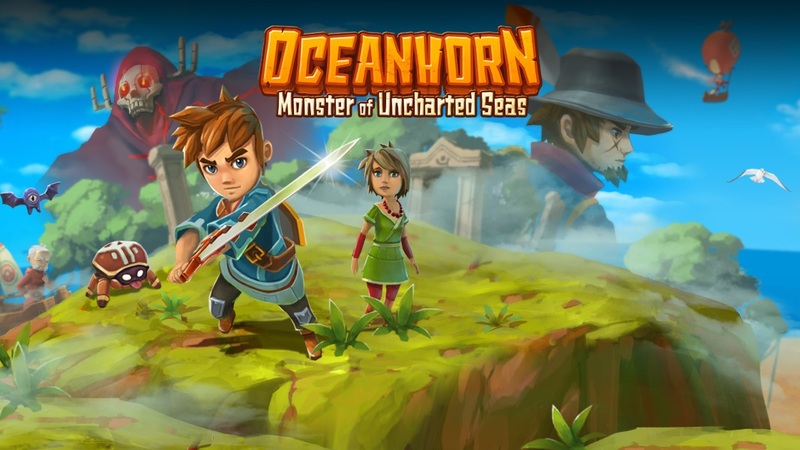 I see bright future for Nintendo Switch, as it has a support for Unreal Engine 4 for example and we are currently spearheading the mobile development on UE4 with Oceanhorn 2. It depends on indie developer. Some indie developers don’t care much about saving resources, but it is everything for us as we are developing for mobile first (or parallel development), so our games have been optimized right from the beginning. This way we can add stuff for higher-end platforms later on. Nintendo Switch is already couple of years old hardware (NVIDIA Tegra X1), so latest iOS devices that we use for development are already more powerful than Switch. But developing mobile first helps and Oceanhorn 2 is going to look great on Switch, when the time comes! So there you have it. Oceanhorn 2 is currently in development for mobile devices, but it looks like porting it to the Switch won’t be much of an issue for the developers. Oceanhorn: Monster of Uncharted Seas is set to arrive on Switch tomorrow as an eShop download. Watch a half hour of gameplay below. Oceanhorn: Monster of Uncharted Seas launches on Switch next week. If you’re planning on downlaoding the game, note that 280MB of free space is needed. Look for it on June 22. 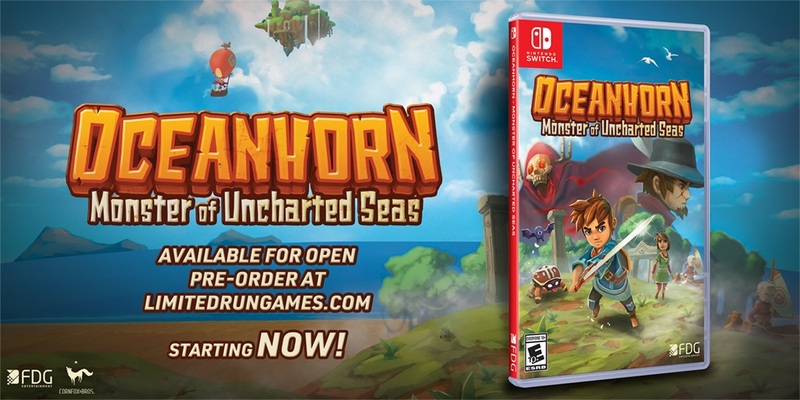 Oceanhorn: Monster of Uncharted Seas launches for Switch via the eShop on June 22. This will be the only way to purchase the game. Reader StrawHatEevee emailed the developer, and received a reply stating that there are currently “no plans” to make it available as a physical release. FDG will be publishing Monster Boy on Switch. 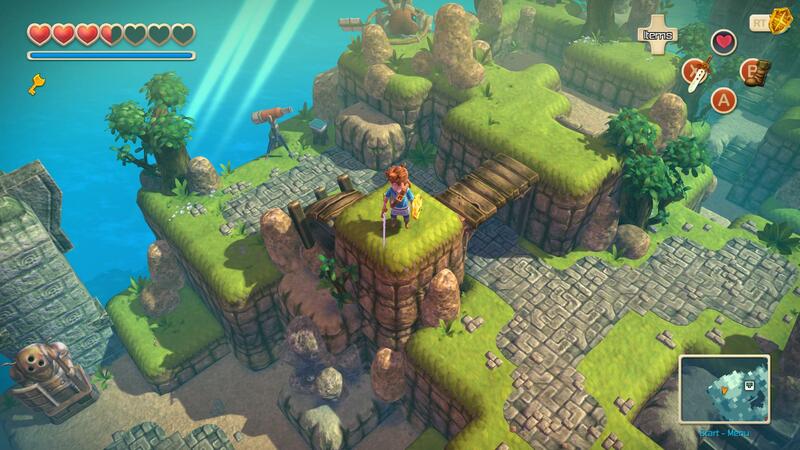 Unlike Oceanhorn, there’s a good chance for a physical version of that game. FDG Entertainment prepared a new video today that provides a first look at Oceanhorn running on Switch. The brief clip, posted below, is off-screen but shows the game running at 60 frames per second. FDG Entertainment teased two games for Switch last October. The first is Monster Boy and the Cursed Kingdom. 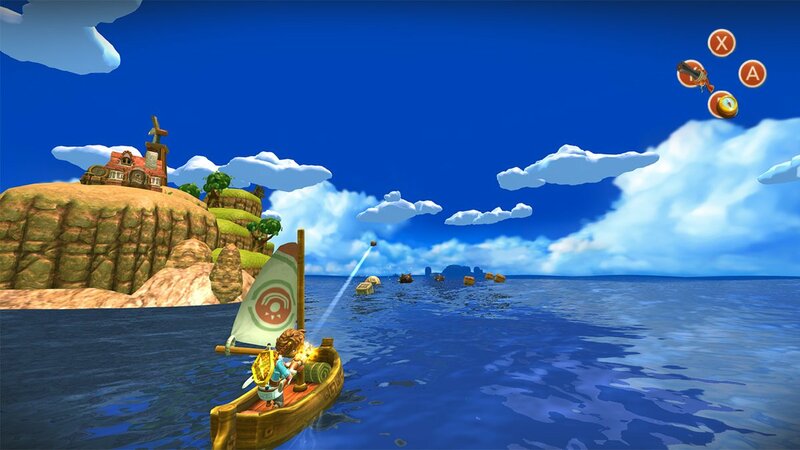 The second was thought to be Oceanhorn: Monster of Uncharted Seas. On Twitter, FDG Entertainment confirms that Oceanhorn is indeed its second Switch game. It should launch before the end of the year. @JeGeekJePlay Yes, Oceanhorn will head to #NintendoSwitch later this year. Will run beautifully on the powerful Switch. It was previously mentioned that FDG’s two Switch games were planned for the first half of 2017. Hopefully that’s still the case. Thanks to JeGeekJePlay for the tip.